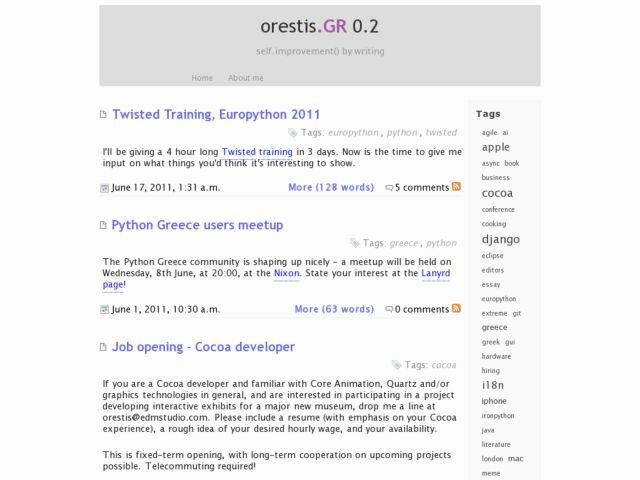 Hi, I[HTML_REMOVED]m Orestis Markou and this is my blog. I write about programming stuff, mostly my new discoveries, and things I find out. There are different articles in Greek and in English.